When it comes to selecting the right tires for your vehicle, you have to understand your driving needs and how to pick the ones that’ll fit your car. In this article, you’ll learn how to choose the best tires for Honda Accord without sacrificing your comfort. When you know what to look for in your ideal tire, it becomes easier to sieve through the vast array of options on the market. Whether you want to upgrade, replace or get new tires for your car, you’ll benefit from knowing a few things about passenger tires and what they can offer you. If you are planning to use your vehicle in all seasons, it’s important to choose those that can perform well in both summer and winter. In this case, you’ll be looking at all-weather or all-season passenger tires. These tires are designed to be used all year round, providing you with long wear, smooth ride, and sufficient traction on dry and wet weather conditions. First, the tire should have a good grip especially when you are driving on dry pavement. Newer tires often have good grip and larger tread blocks, which enhances their clutch in the summer. This is what will improve your car’s ability to perform in rough and tough road conditions. Even when you drive all day, you should notice the powerful adhesion of the tires, especially towards the out limit when you crank the wheel over the tires. The tire won’t break loose, instead, it’ll just continue to grapple at the pavement, which is essentially what you want. When it comes to smoothness, the tire should have low rolling resistance, which means they don’t negatively affect the suspension. The tire should be able to absorb some of the bumps as well as smaller cracks in the road when you hit them so these things don’t make their way into the suspension and eventually to the cabin. This is even more important if you drive on bad roads frequently. The braking aspect is actually similar to the first point, which is how good the tire can perform under braking conditions. It’s a confidence booster to know you’ll be able to stop your car when you brake, especially in poor conditions or rainy weather. Moreover, if you need to make an evasive maneuver, you have that peace of mind that this is tire will do it. When you choose a tire that performs excellently in all three aspects, then that will serve you well all through the seasons. When you are purchasing a new set of tires for your Honda Accord, you can get good ones with a few hundred dollars. Since you are driving a commuter car, you don’t have to spend a great deal of cash on performance tires if you can make do with a set of all-season touring tires. It’s also important not to cheap out on new tires but you also don’t have to spend a fortune. Ultimately, you want to choose a tire that’ll offer plenty of value in return for your money. In every endeavor, there is always a gold standard. And with Cooper tires, that honor belongs to the new CS5 touring tire. The CS5 is the culmination of years of research and breakthrough technology. With proven real-life performance all rolled into one outstanding tire. After the Cooper CS3 touring tire, the CS5 Grand Touring tire is the next step for the Cooper touring line. The tires offer an improved wet and dry traction plus a quieter ride and enhanced handling. This all-season touring tire promotes long-lasting tread life as enhanced by driving comfort attributes. It provides all-season wet weather traction which can help in boosting your confidence in driving in wet weather conditions. One of the coolest features of this tire is the WearSqure Visual Indicator, which provides a convenient tread life gauge. And because they are located close to the edge of the tire, they are easier to read, which is great if this is your first purchase. This all-season tire also features the 3D Micro-Gauge Siping, which allows the tread elements to interlock and stabilizes the tire. This provides superior handling and control in any road pavement and with the Stabiledge Technolgy, you will enjoy improved steering and traction all through your trips. The lightweight construction and design of the CS5 also make for less rolling resistance, which helps preserves fuel and smoother driving experience. The innovative Coupled Silica Compound in the tire allows for an excellent performance in all seasons and increases the braking and fuel efficiency for your Honda Accord. What’s more, the asymmetrical pattern reduces irregular wear and allows the tire to be rotated to opposite sides of the vehicle. 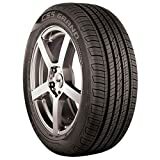 With an 80,000-mile treadwear warranty, the CS5 Grand Touring tire provides not only long-lasting wear but also comfort, which is important if you constantly travel to long distances with your vehicle. The Goodyear Eagle RS-A features aggressive shoulder tread blocks that provide great cornering grip, enhanced handling, and good ride quality. Its wide lateral grooves help provide wet traction and control. Also, it’s engineered to maximize contact with the road, and with more contacts comes better grip. One of the great thing about the Goodyear Eagle RS-A Tire is that it’s the same tire that police employ on their vehicles to handle high-speed pursuits, so if you are an aggressive driver, you’ll find this will match up with your expectations. Another advantage that comes with this tire is its ability to perform in changing weather conditions. It has 4-open grooves that are weaved around the tire, making them effective in pushing away water from the tire. This further enhances the tire’s grip in wet conditions and prevents aquaplaning. With aggressive tread blocks on the shoulder and wider lateral grooves, the Goodyear Eagle RS-A Tire promises excellent handling and steering ability on wet and snowy roads. And because of its all-season capabilities, automakers often select it as original equipment, which makes it a great replacement choice for your Honda. With this, you can maintain that high performance feels and traction that your old OEM come with. This tire has a unique asymmetric tread design that enhances grip at high speeds while keeping your ride quiet and smooth. The tread provides comfortable handling and it’s perfect for cornering. For driving in the city, it’s good but doesn’t perform great in heavy snow or ice. If you are looking for an all-season tire to help you get the most performance out of your Honda Accord, this tire is a good option to look at. Westlake is committed to bringing performance, value, and quality in all their tires, consistently. And when you consider that most drivers are looking for a good combination of these (i.e. balance), it’s no wonder the Westlake RP18 Touring Radial Tire makes the list for good Honda Accord tires. If you are looking for a low-cost alternative to Cooper and Goodyear tires with a stellar performance, the RP18 is a great option to consider. You can trust this model to provide just the right amount of power your Honda needs to move smoothly through your daily commute. The RP18 Touring Radial Tire comes with a non-directional tread pattern that not only extends the tread life but also creates better tire rotation. It features vertical sipes that make for an improved handling and cornering ability. Moreover, the well-positioned siping helps prevent slipping and sliding, so that you can enjoy great traction on a wet road as well as a good grip on ice and snow. In addition, the low profile design and tread pattern equally contribute to good steering response. Although it has great traction on dry pavement, this otherwise affordable tire struggles to maintain good traction on ice and snow packed roads. Another area that needs improvement is road noise – the noise goes up as you reach highway speed, which is not common with other big name brands. 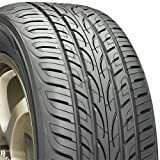 Ultimately, if you are budget conscious or simply want to save money on your daily driver and still get good value from your next set of tires, the RP18 Touring Radial Tire is highly recommended. It’s available in several sizes, starting from 13″ up to 16″. The ENVigor is Yokohama’s All-season tire that’s packed with lots of capabilities, which brings it shoulder-to-shoulder with the big name models in the industry. Because of its ideal blend of all-season performance, smooth comfort, long tread life, and ultra-low rolling resistance, it’s been the choice of many auto-makers as original equipment on new vehicles. The tire comes with Tapered Center Rib and Unibloc Shoulder that provides improved handling and an enhanced stiffness when driving. And with the Angled Groove Walls and Adaptive 3D Sipes, you get to enjoy better resistance against hydroplaning, added traction when cornering and an optimized tread contact with the road. And thanks to the Groove-in-groove technology, stress loads are properly distributed, which further adds to an even wear. The Optimized Contact Patch on the tire helps to minimize rolling resistance through the reduction of cap compound friction. This also amplifies maximized road contact for a long and even wear. Like other well-known brands, the Yokohama ENVigor All-Season Tire features the All-New Silica Compound that provides excellent traction in dry, wet, or snowy roads, without sacrificing tread life, comfort or grip. And for its ultra-low rolling resistance, you get better fuel economy. Finally, to reduce pattern noise, Yokohama added a six-pitch tread variation which is staggered around the tire. The variation in size and shape of the tread is what provides an all-time quiet ride. The Sumic GT-A All-Season tire is another great choice for your Honda Accord. This tire features symmetric 4-rib tread pattern which provides enhanced handling response and increase dry traction. Its circumferential grooves and extended lateral grooves ensure excellent water evacuation, which helps with traction on wet roads. Not only is it a low-cost option to consider but also it comes with a great style and little road noise to boot. Its great stability on varied roads also endears it to owners of all types of sedans or coupes. Moreover, the tire’s tread block siping enhances comfort and support a quiet ride. The sipes on the tire are cut deep, making the Sumic GT-A more like a winter tire. The sipes help in pulling away moisture from the road surface when you’re driving in rain or snow, so you can enjoy better traction. As a result of the steep sipe design, the tire gets an added protection as the wear gets lower, thus maintaining the powerful grip they come with when they are new. With plenty of tires available on the market for your Honda Accord, it’s difficult not to be spoilt for choice. However, the downside is that you can quickly become overwhelmed if you are buying for the first time. Therefore, to choose the right tire for your car, you need to look for one that not only suits your car but also comes with all the performance you’ll need to enjoy your ride. Fortunately, the Cooper CS5 Grand Touring Radial Tire provides all these and more. The tire provides a smooth ride and maintains a firm grip under braking. Not only is it ideal for your Honda Accord, but it’s also a great choice for owners of passenger cars and SUVs. In fact, the tire is geared towards premium performance and luxury touring coupes sedans and small crossovers. There is no need to spend a ton of money on performance tires when a set of an all-season tire like these Cooper CS5 ultra Touring will help you get through wet and dry roads.